The 2016 Wells Fargo scandal has led to a lot of grief for directors and officers at the financial giant, and high payouts in settlements, fines, and penalties. You might remember the story: Bank employees created fake accounts on behalf of customers for years without their knowledge in order to boost sales figures and qualify for bonuses. Shareholders who believed the board breached their fiduciary duties during that time filed derivative suits. In the latest news, Wells Fargo has agreed to pay a $240 million settlement in a breach of fiduciary duty derivative suit against directors. On the one hand, this latest settlement is a story about director misconduct and liability. On the other hand, this is a cautionary tale about what’s going on with derivative suits today. 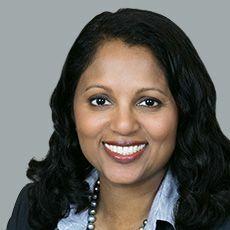 Breach of fiduciary duty suits brought by shareholders on behalf of a corporation (aka a “derivative” suit) can be problematic for directors. This is because, unlike direct fiduciary duty suits and securities class action suits, there is real risk for personal financial liability for directors since the corporate entity typically can’t indemnify the settlement of derivative suits settlements. It’s true that derivative suits are fairly common. However, the vast majority of these types of suits only settle with some corporate therapeutics (which is to say, some adjustments in corporate governance) and plaintiff attorney fees. The latter are paid either by insurance or by a corporation directly. Having said that, it’s hard not to notice some large derivative suit settlements in the headlines as of late, first with Yahoo’s settlement and now Wells Fargo. So, should directors and officers be worried? In the “not a big worry” column, consider that the details of the two high-profile derivative cases mentioned—Yahoo and Wells Fargo—were especially egregious. Most situations that lead to lawsuits against directors are not so colorful. Also, both cases involved everyday consumers, something that made the suits perhaps riskier for those companies and their directors. Harming consumers makes for bad press. When the press is especially bad, as was the situation with these two cases, we tend to see higher settlements. On the other hand, plaintiffs have seen some big victories in a short amount of time with derivative suit settlements. Since plaintiffs are good at pattern recognition, we can expect that they will continue to press for large derivative suit settlements. Based on the experience with Wells Fargo and Yahoo, this is of particular concern for high-profile companies that are consumer facing since these derivative suits seem to garner special attention from the plaintiffs’ bar. As we’ve noted, while the Wells Fargo’s settlement is enormous, individual directors aren’t going to pay anything. Instead, the insurance program will pay the full settlement. That’s great for the Wells Fargo directors, but perhaps not so great for everyone else. As a reminder, it’s the Side A part of the D&O insurance policy that pays for settlements of derivative suits like the Wells Fargo case described above. (For a reminder of the various insurance agreements in a D&O insurance policy, see this post). It’s very common for companies to buy a combination ABC D&O insurance policy, and then extra standalone Side A insurance (also known as Side A Difference in Condition or “DIC” insurance) on top of that. Usually Side A standalone policies that sit on top of ABC programs are attractively priced for companies. This makes sense when you remember that Side A only responds in the United States to the settlement of derivative claims and in corporate bankruptcy. If a company is solvent, it is unlikely that the standalone Side A on top of the tower would have to pay anything since most derivative suits settle for plaintiff fees, an indemnifiable expense the corporation can pay. Even if there were a financial settlement, the Side A contained in the underlying ABC layers would have to be exhausted before the standalone Side A would respond. A company like Wells Fargo, however, would have had a very different structure. We’d expect such a company to have an enormous standalone Side A program. In the past the pricing on these enormous standalone Side A towers for highly solvent companies was relatively low, reflecting an environment of vanishingly few large derivative suit financial settlements. When you realize, however, that there are only a limited number of companies that want Side A insurance in the quantities purchased by a company like Wells Fargo, the math of keeping the premiums low changes quickly if the frequency of large derivative suit settlements goes up at all. In other words, it only takes one very large loss to make the historical pricing of very large standalone Side A towers of insurance unsustainable for carriers. Thus, cases like Yahoo, Wells Fargo, and others may be the beginning of insurers thinking differently about standalone Side A. As a result, we expect to see carriers that provide the higher excess limits for large standalone Side A programs to increase their pricing. We may see the same dynamic for smaller standalone Side A programs. Having said that, it’s not clear that it makes sense for carriers to increase the cost of smaller standalone Side A programs much if at all. After all, there is no reporting of an increase in the frequency of low-dollar derivative suit settlements. 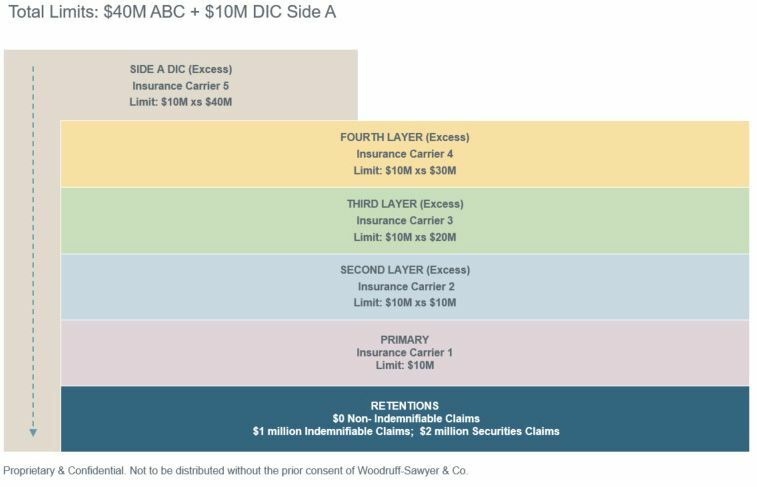 In the typical case for small and mid-market companies, their D&O insurance program includes good amounts of ABC insurance (see the program figure above). 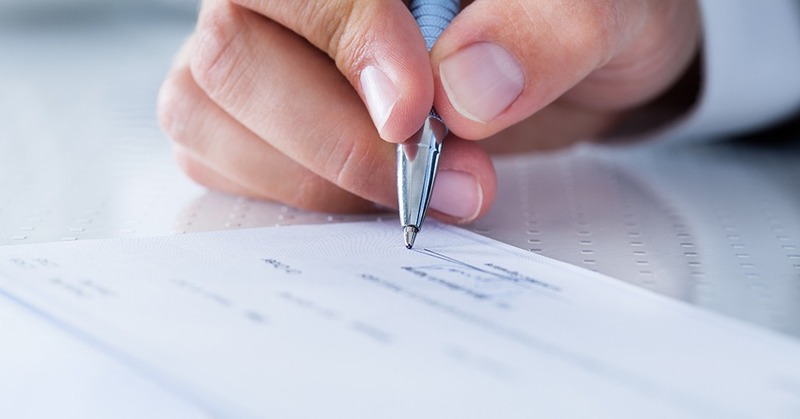 This ABC insurance that can both reimburse the corporation for indemnifiable defense costs and pay the settlement of a derivative suit if needed. In other words, if it sits on top of a good-sized ABC program for a small to mid-market public company, any extra standalone Side A is still relatively unlikely to be hit by a derivative suit since there is a robust amount of Side A insurance in the ABC program. What can directors do to optimize their outcomes in the face of potential derivative suits? Corporate governance: Good corporate governance provides the best defense in the face of breach of fiduciary duty litigation. No board can fully stop all bad behavior, but creating processes and controls to bring bad news to the board, and then taking that news seriously and acting on it is critical. In this regard, no one wants to be the next Wells Fargo cautionary tale. Insurance: Make sure your Side A insurance is both adequate in limits and has robust terms and conditions. Also, in light of recent trends, consider increasing the amount of standalone Side A insurance you are purchasing, especially if yours is a company that has not historically purchased very much Side A, and especially if the company is a consumer-facing company. As a reminder, D&O insurance policies are highly customized. You will want to work with an expert who has a lot of experience placing this type of insurance. The current D&O insurance market is a challenging one. Working with a brokerage that has deep relationships with the insurance market for a long period of time will be meaningful given market conditions. Experienced brokers have seen hard markets before, and will be able to come to you with strategies for how to handle such a market.